Halkidiki is a holiday destination famous for its amazing beaches. Both Kassandra and Sithonia have attractive beaches lining the coastline. Some are pristine and unspoilt, while others feature tourist facilities. 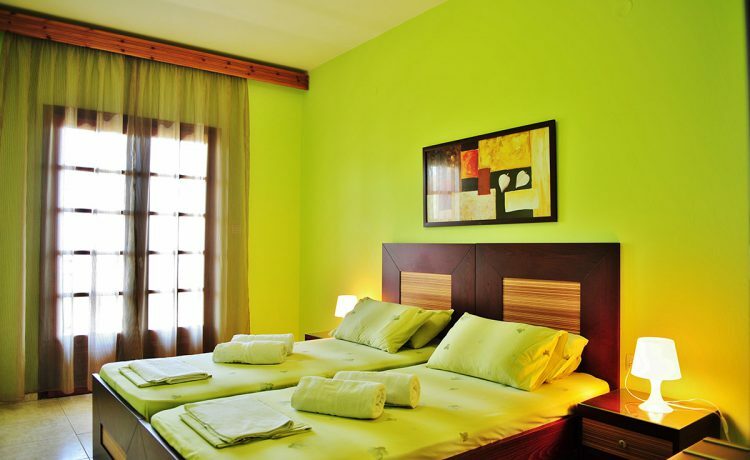 Sunday Resort, located in Gerakini, is an excellent base for touring first-class beaches of Halkidiki. Whether you prefer relaxing, water sports or partying, suitable beaches are within a short distance from our villa. Below, find out which are the best beaches of Halkidiki and how far (close) they are. If you visit Gerakini Beach first, you will hardly wish to go elsewhere. The sandy beach is spacious and with various facilities. It is long, featuring crystalline waters. Taverns, bars, shops and water sports are available on Gerakini Beach. Kalithea Beach is among the most organized beaches of Halkidiki. It is suitable for children during the day, and for party people during the night. Golden sand and blue waters make an ideal combination for photo sessions. Furthermore, lush greenery edges Kalithea Beach. Sun beds, parasols and water sports are available here. You can reach the beach after some 40 minutes of a relaxing drive from Gerakini (around 45 km). Lagomandra Beach, located on the western coastline of Sithonia, is among a few top beaches of Halkidiki. Two neighboring beaches form Lagomandra. One is well organized, featuring water sports, while the other is virgin. The nearby grove offers protection from the midday sun. The waters of Lagomandra Beach are clear and sand is soft. From Sunday Resort, you can access this outstanding beach (35 km) in slightly more than 30 minutes by car. Edged by a grove, Karidi Beach is one of the most photogenic beaches of Sithonia. The beach is sandy and with shallow waters, ideal for children. 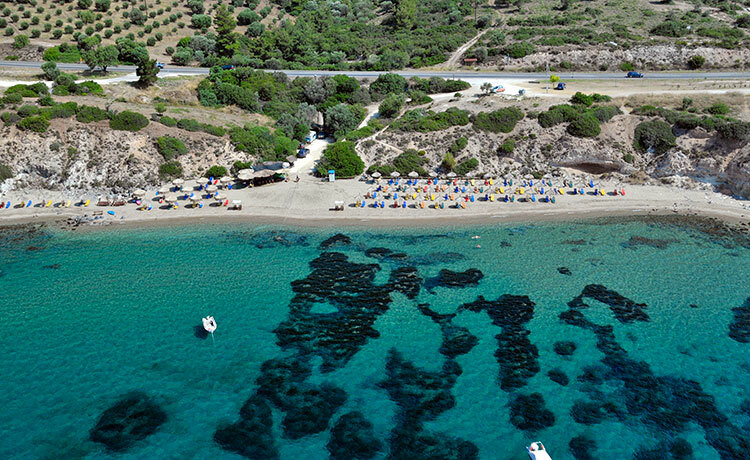 Karidi Beach is the main beach of Vourvourou, in the northeastern part of Sithonia. Fava Beach is one of the most impressive beaches in Halkidiki. Rolling forested hills edge the sandy beach from one side. Tall cliffs, with narrow stretches of sand between those and the sea, flank it from the other. Fava is near Karidi, some 40 minutes (40 km) away from Gerakini. The beaches mentioned above are just a few deserving a gold medal. 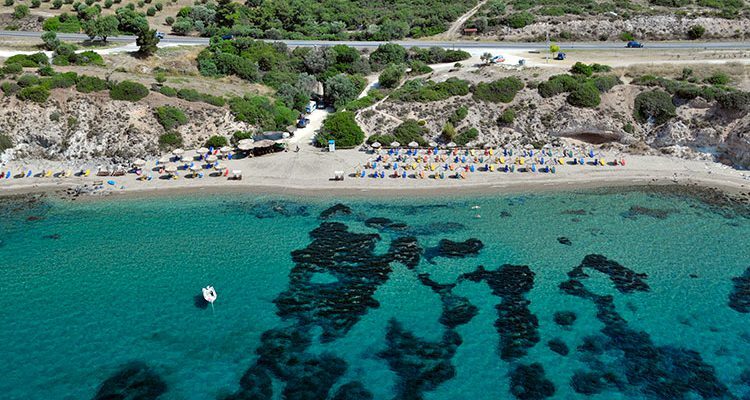 While around, also check out: Elia beach, Spathies beach on Sithonia peninsula.